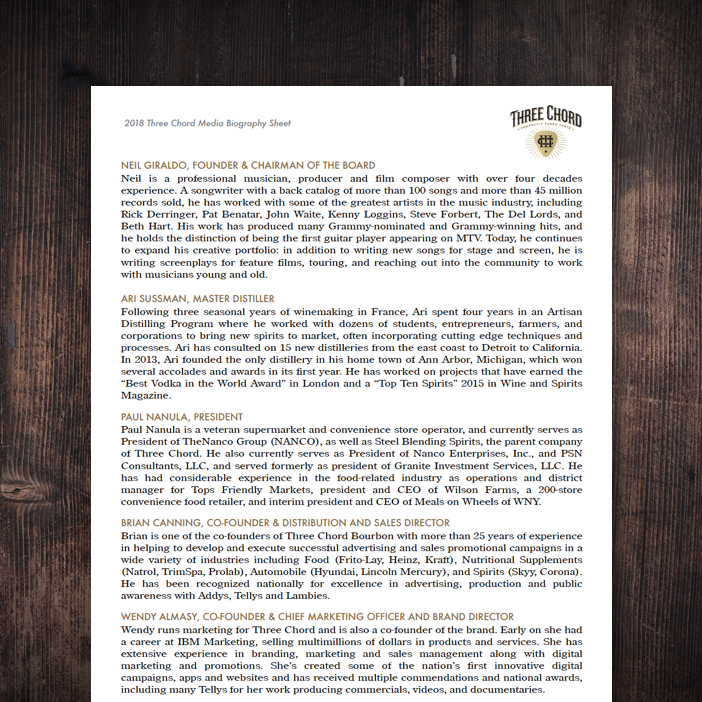 Stay up to date with current news on Three Chord Bourbon. Ann Arbor, MI, July 10, 2018 – A new blended bourbon was introduced to the market today that embodies the spirit of music, creativity, and innovation. 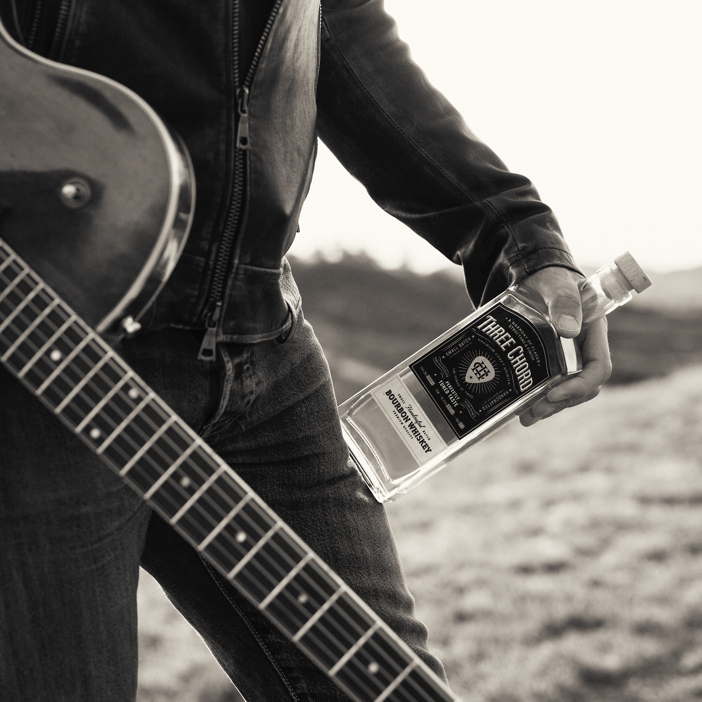 Three Chord Blended Bourbon was created by musician and producer of Grammy-winning hits, Neil Giraldo, and is crafted using a proprietary process that applies tonal vibrations to the aged bourbon blend. 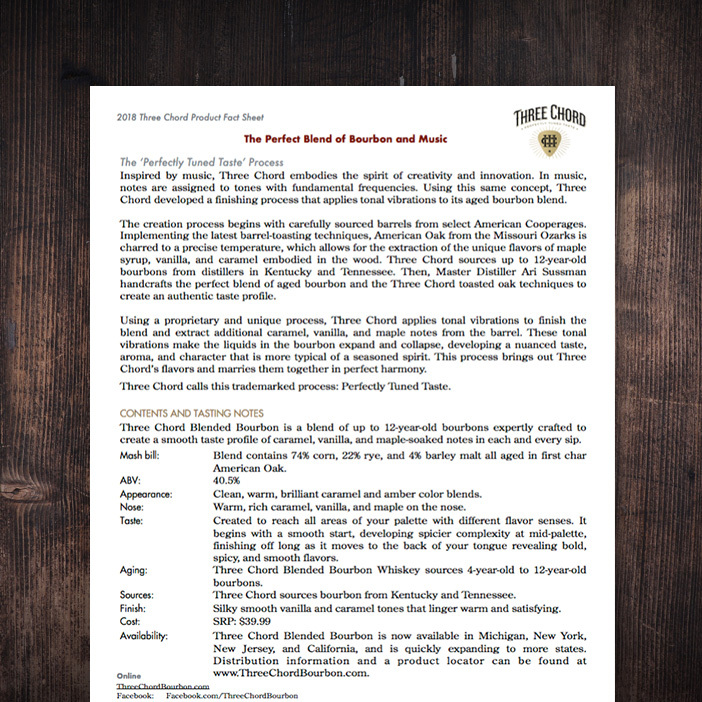 This process develops a nuanced taste, aroma, and character that is exclusive to Three Chord Blended Bourbon. The Three Chord creation process begins with carefully sourced barrels from select American Cooperages. Implementing the latest barrel-toasting techniques, American Oak from the Missouri Ozarks is charred to a precise temperature, which allows for the extraction of the flavors of maple syrup, vanilla, and caramel embodied in the wood. Three Chord sources up to 12-year-old bourbons from distillers in Kentucky and Tennessee. Then, Master Distiller Ari Sussman handcrafts the perfect blend of aged bourbon and the Three Chord toasted oak techniques to create an authentic taste profile. Using a proprietary and unique process termed ‘Perfectly Tuned Taste,’ Three Chord applies tonal vibrations to finish the blend and extract additional barrel notes of caramel, vanilla, and maple. Three Chord Blended Bourbon is now available for $39.99 at select locations in Michigan, New York, New Jersey, and California. Three Chord is produced in Jackson, Michigan and is based in Ann Arbor. The company is represented by Empire Merchants North in New York, Fedway Distributors in New Jersey, Imperial Beverage in Michigan, and Liberation Distribution (LibDib.com) in California. Distribution is quickly expanding and a product locator can be found at https://threechordbourbon.com/find-us. Online shipping options are also available via the website, threechordbourbon.com. Innovation is nothing new to Giraldo. 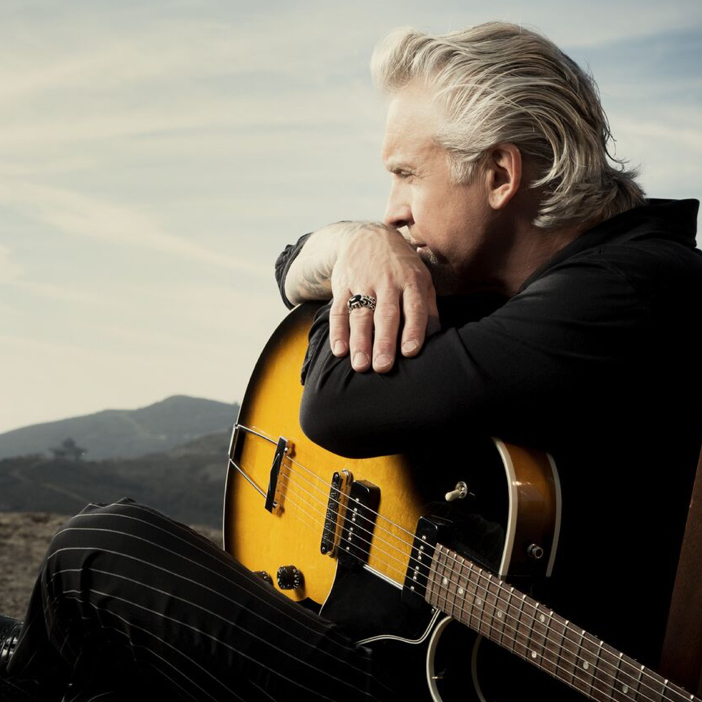 With a back catalog of more than 100 songs written and more than 45 million records sold, Giraldo has written, produced, arranged, and recorded for Pat Benatar, John Waite, Rick Springfield, Kenny Loggins, Steve Forbert, The Del Lords, Beth Hart, The Coors, and others. Over the years Neil has produced many Grammy-nominated and Grammy-winning hits including “Love is a Battlefield” and “We Belong.” His complete discography can be found here. 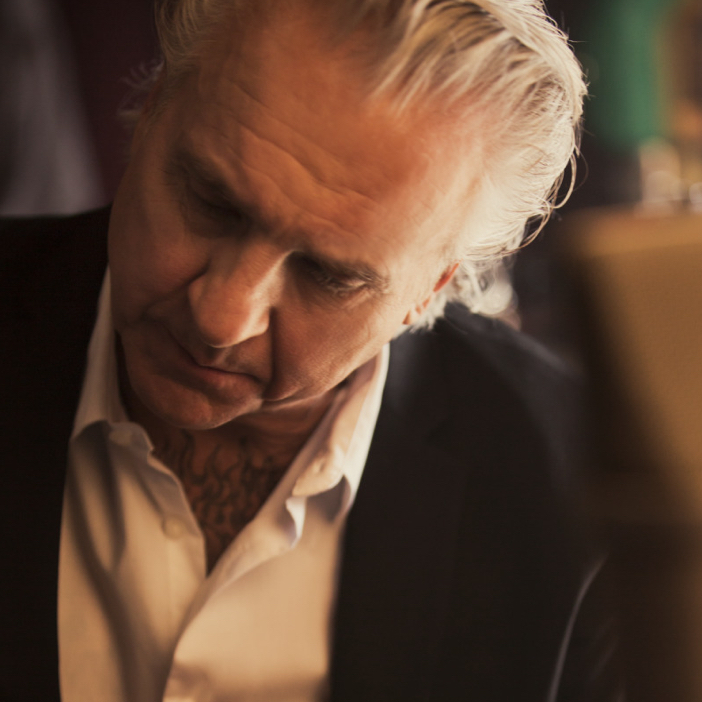 About Steel Bending Spirits, Inc.
Three Chord is led by musician Neil Giraldo and is produced by Steel Bending Spirits, Inc., an Ann Arbor, Michigan, based company. 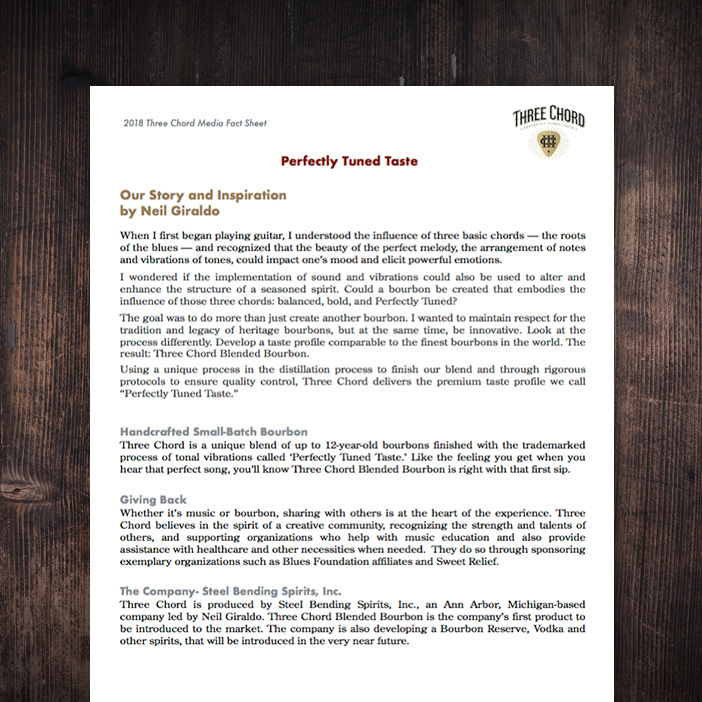 Three Chord Blended Bourbon is produced in Jackson, Michigan, and is the company’s first product to be introduced to the market. Other spirits are in production, including a reserve bourbon, and will be introduced to the market in the near future. Three Chord Blended Bourbon is currently available in select locations nationwide. 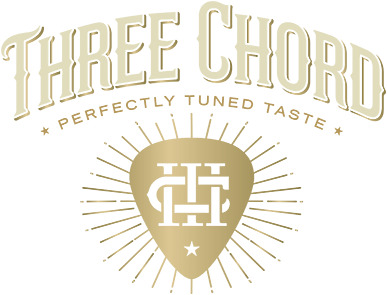 More information and a product locator can be found at threechordbourbon.comor on Facebook @threechordbourbon, Twitter @3ChordBourbon, and Instagram @threechordbourbon. In its 23rd year, the annual Red, White & Blues Festival saw its largest turnout ever Saturday. “I’m estimating 800-1,000 people this year, just in the park alone, not including bar traffic,” Festivals Fredonia Chairman Larry Fiorella stated. 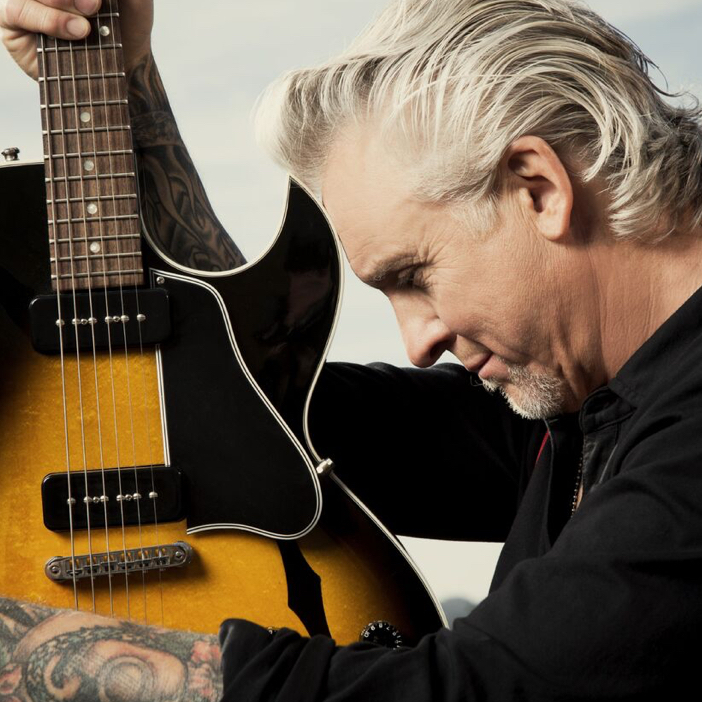 Neil Giraldo may be a hotshot rock ‘n’ roll guitarist after 40 years with wife Pat Benatar and other musical concerns. But these days he’s hitting us with best shot — bourbon shot, that is. 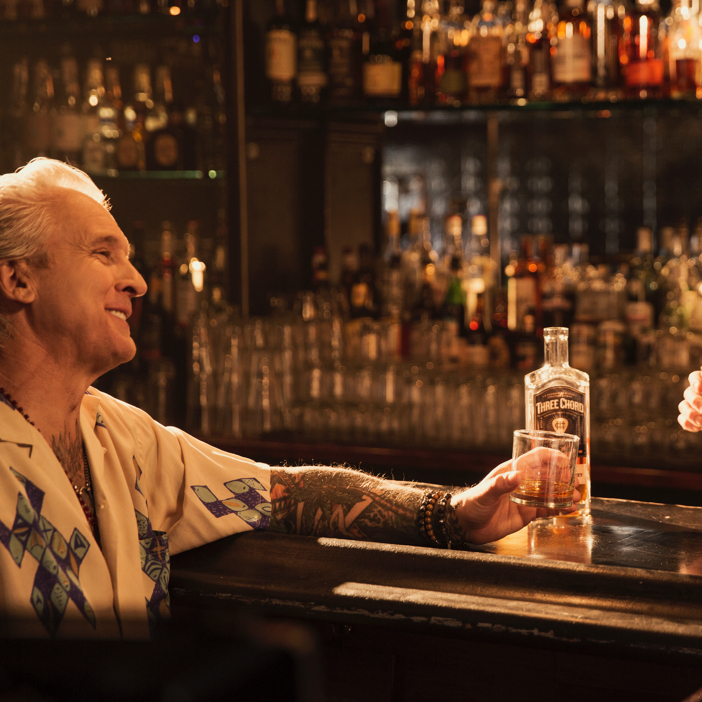 It’s actually Giraldo’s extra-musical concerns that have turned him into a bourbon maker — and, via his new Three Chord Bourbon brand, connected to him to Michigan and events like the Ann Arbor Blues Festival and this weekend’s Michigan State Fair. Giraldo is also a screenwriter, and a social media posting about one of his projects caught the attention of Brian Canning, a longtime friend who hadn’t been in touch for a number of years. 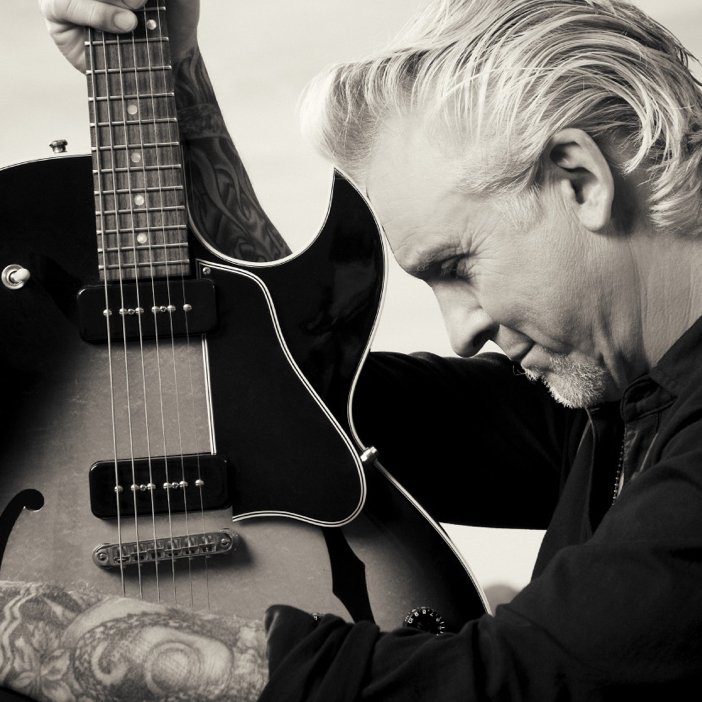 Musician and Grammy award-winning producer Neil Giraldo is a musical artist best known for having written over 100 songs that have been instrumental in selling over 45 million records. 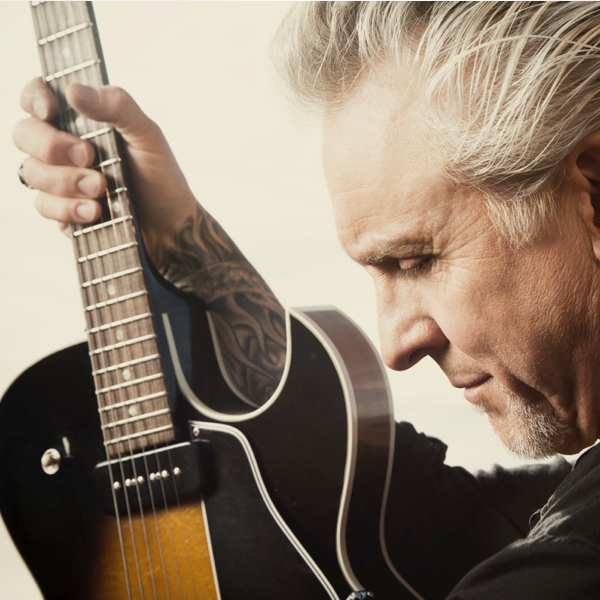 He’s worked with the best in the industry, including Pat Benatar, John Waite, Rick Springfield, Kenny Loggins, Steve Forbert, The Del Lords, Beth Hart, The Coors, and others. 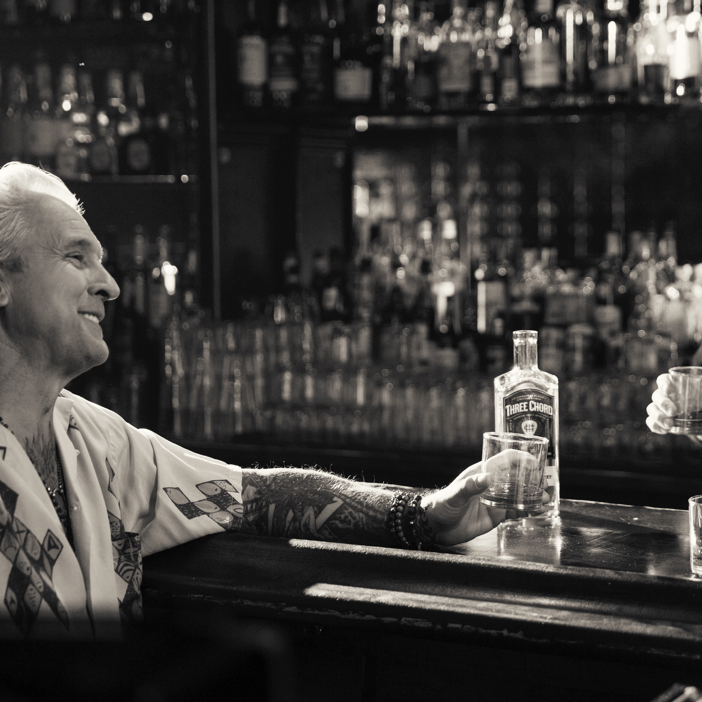 Giraldo now believes he can bring his musical expertise to the world of whiskey and has released a new bourbon influenced by what’s described as tonal vibrations. Three Chord’s process applies vibrations to enhance the structure of their aged bourbon blend. 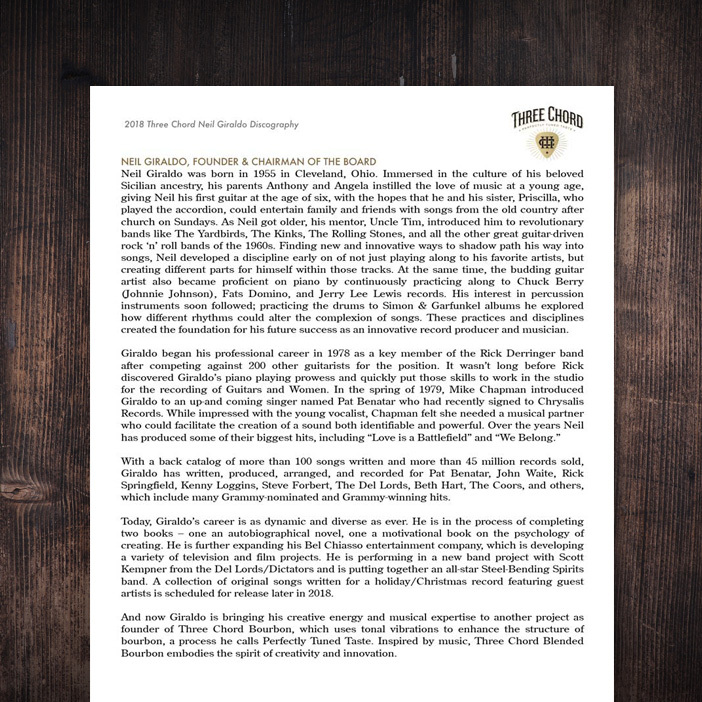 Information about Neil Giraldo and Three Chord Bourbon. Neil is a professional musician, producer and film composer with over four decades experience. 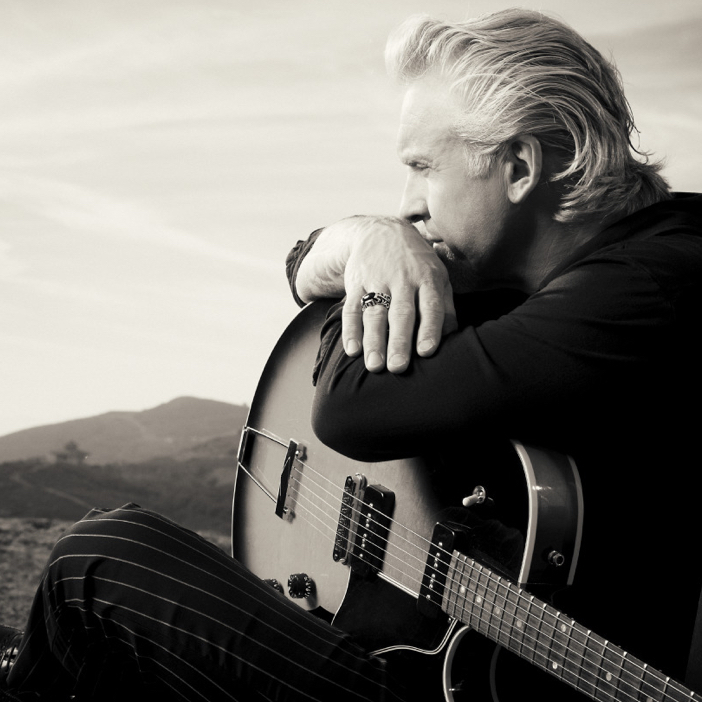 A songwriter with a back catalog of more than 100 songs and more than 45 million records sold, he has worked with some of the greatest artists in the music industry, including Rick Derringer, Pat Benatar, John Waite, Kenny Loggins, Steve Forbert, The Del Lords, and Beth Hart. His work has produced many Grammy-nominated and Grammy-winning hits, and he holds the distinction of being the first guitar player appearing on MTV. Today, he continues to expand his creative portfolio: in addition to writing new songs for stage and screen, he is writing screenplays for feature films, touring, and reaching out into the community to work with musicians young and old. Following three seasonal years of winemaking in France, Ari spent four years in an Artisan Distilling Program where he worked with dozens of students, entrepreneurs, farmers, and corporations to bring new spirits to market, often incorporating cutting edge techniques and processes. Ari has consulted on 15 new distilleries from the east coast to Detroit to California. In 2013, Ari founded the only distillery in his home town of Ann Arbor, Michigan, which won several accolades and awards in its first year. He has worked on projects that have earned the “Best Vodka in the World Award” in London and a “Top Ten Spirits” 2015 in Wine and Spirits Magazine. Paul Nanula is a veteran supermarket and convenience store operator, and currently serves as President of TheNanco Group (NANCO), as well as Steel Blending Spirits, the parent company of Three Chord. He also currently serves as President of Nanco Enterprises, Inc., and PSN Consultants, LLC, and served formerly as president of Granite Investment Services, LLC. He has had considerable experience in the food-related industry as operations and district manager for Tops Friendly Markets, president and CEO of Wilson Farms, a 200-store convenience food retailer, and interim president and CEO of Meals on Wheels of WNY. Brian is one of the co-founders of Three Chord Bourbon with more than 25 years of experience in helping to develop and execute successful advertising and sales promotional campaigns in a wide variety of industries including Food (Frito-Lay, Heinz, Kraft), Nutritional Supplements (Natrol, TrimSpa, Prolab), Automobile (Hyundai, Lincoln Mercury), and Spirits (Skyy, Corona). He has been recognized nationally for excellence in advertising, production and public awareness with Addys, Tellys and Lambies. Wendy runs marketing for Three Chord and is also a co-founder of the brand. Early on she had a career at IBM Marketing, selling multimillions of dollars in products and services. She has extensive experience in branding, marketing and sales management along with digital marketing and promotions. She’s created some of the nation’s first innovative digital campaigns, apps and websites and has received multiple commendations and national awards, including many Tellys for her work producing commercials, videos, and documentaries. When I first began playing guitar, I understood the influence of three basic chords — the roots of the blues — and recognized that the beauty of the perfect melody, the arrangement of notes and vibrations of tones, could impact one’s mood and elicit powerful emotions. I wondered if the implementation of sound and vibrations could also be used to alter and enhance the structure of a seasoned spirit. Could a bourbon be created that embodies the influence of those three chords: balanced, bold, and Perfectly Tuned? The goal was to do more than just create another bourbon. I wanted to maintain respect for the tradition and legacy of heritage bourbons, but at the same time, be innovative. Look at the process differently. Develop a taste profile comparable to the finest bourbons in the world. The result: Three Chord Blended Bourbon. 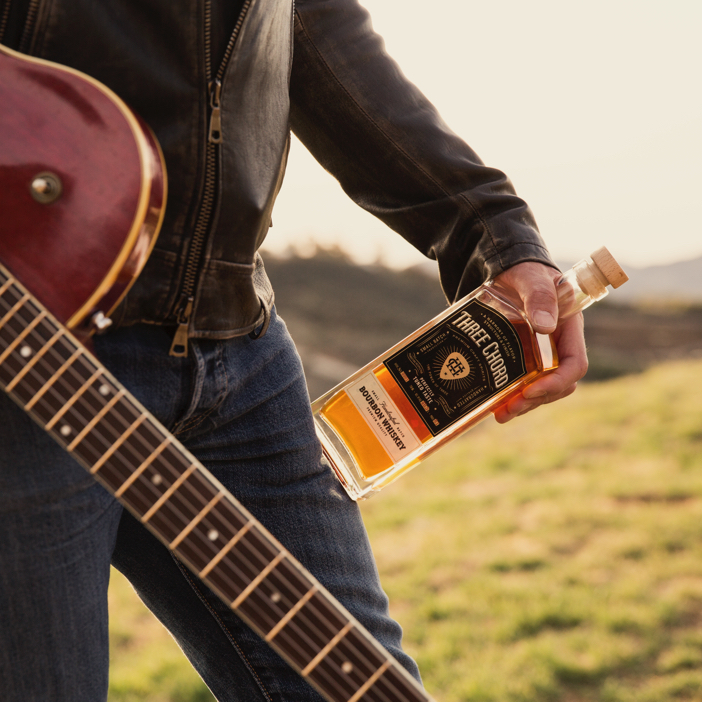 Three Chord is a unique blend of up to 12-year-old bourbons finished with the trademarked process of tonal vibrations called ‘Perfectly Tuned Taste.’ Like the feeling you get when you hear that perfect song, you’ll know Three Chord Blended Bourbon is right with that first sip. Whether it’s music or bourbon, sharing with others is at the heart of the experience. Three Chord believes in the spirit of a creative community, recognizing the strength and talents of others, and supporting organizations who help with music education and also provide assistance with healthcare and other necessities when needed. They do so through sponsoring exemplary organizations such as Blues Foundation affiliates and Sweet Relief. The Company- Steel Bending Spirits, Inc.
Three Chord is produced by Steel Bending Spirits, Inc., an Ann Arbor, Michigan-based company led by Neil Giraldo. 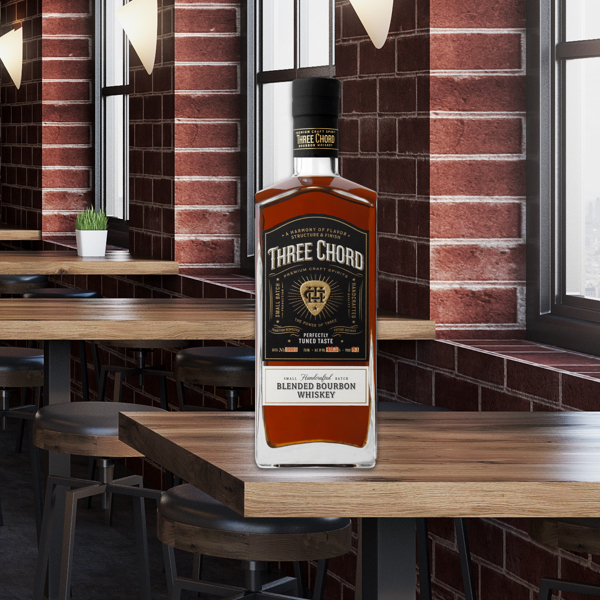 Three Chord Blended Bourbon is the company’s first product to be introduced to the market. The company is also developing a Bourbon Reserve, Vodka and other spirits, that will be introduced in the very near future. Three Chord Blended Bourbon is now available for $39.99 at select locations in Michigan, New York, New Jersey, and California. Online shipping options to other states is also available via the website. A product locator can be found at https://threechordbourbon.com/find-us. Inspired by music, Three Chord embodies the spirit of creativity and innovation. In music, notes are assigned to tones with fundamental frequencies. Using this same concept, Three Chord developed a finishing process that applies tonal vibrations to its aged bourbon blend. The creation process begins with carefully sourced barrels from select American Cooperages.Implementing the latest barrel-toasting techniques, American Oak from the Missouri Ozarks is charred to a precise temperature, which allows for the extraction of the unique flavors of maple syrup, vanilla, and caramel embodied in the wood. Three Chord sources up to 12-year-old bourbons from distillers in Kentucky and Tennessee. Then, Master Distiller Ari Sussman handcrafts the perfect blend of aged bourbon and the Three Chord toasted oak techniques to create an authentic taste profile. Using a proprietary and unique process, Three Chord applies tonal vibrations to finish the blend and extract additional caramel, vanilla, and maple notes from the barrel. These tonal vibrations make the liquids in the bourbon expand and collapse, developing a nuanced taste, aroma, and character that is more typical of a seasoned spirit. 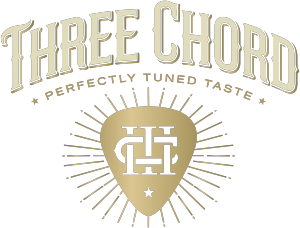 This process brings out Three Chord’s flavors and marries them together in perfect harmony. Three Chord calls this trademarked process: Perfectly Tuned Taste. Three Chord Blended Bourbon is a blend of up to 12-year-old bourbons expertly crafted to create a smooth taste profile of caramel, vanilla, and maple-soaked notes in each and every sip. Mash bill: Blend contains 75% corn, 22% rye, and 4% barley malt all aged in first char American Oak. Appearance: Clean, warm, brilliant caramel and amber color blends. Nose: Warm, rich caramel, vanilla, and maple on the nose. Taste: Created to reach all areas of your palette with different flavor senses. It begins with a smooth start, developing spicier complexity at mid-palette, finishing off long as it moves to the back of your tongue revealing bold, spicy, and smooth flavors. Aging: Three Chord Blended Bourbon Whiskey sources 4-year-old to 12-year-old bourbons. Sources: Three Chord sources bourbon from Kentucky and Tennessee. Finish: Silky smooth vanilla and caramel tones that linger warm and satisfying. Approved images and logos for Three Chord Bourbon. Official picture of the Three Chord Bourbon bottle in PNG format, background isolated. We provide our logo in two different versions, one for use against a light background and one for dark backgrounds. Both logos are available in vector and PNG formats. The logo must stand out against the background. If your background has mixed brightness or otherwise cannot make the logo stand out, we ask you use a different background. Glows, drop shadows, and other graphic effects are not allowed without permission from our brand compliance department. Savor each moment. Drink Responsibly. Are You Of Drinking Age? Sound and innovation. As nice as that sounds you must be of legal drinking age in your country to visit our website. By entering, you accept our Privacy and Cookie Notice | View Terms and Conditions.